Bosch Energy and Building Solutions was declared the winner of the ‘Leading EPC - Solar Rooftop’ award on September 17 at the Renewable Energy India Awards 2018. 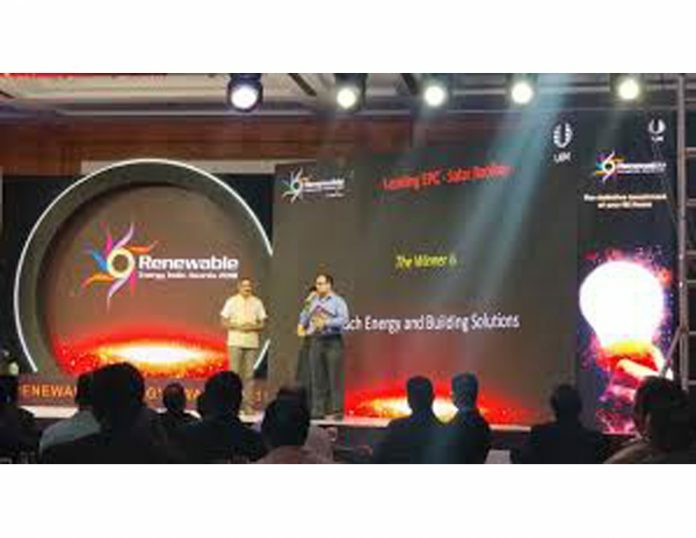 Bosch Energy and Building Solutions was declared the winner of the ‘Leading EPC – Solar Rooftop’ award on September 17 at the Renewable Energy India Awards 2018. Adjudged by a jury comprising of industry think tanks, the award recognises excellence and innovation in the Indian solar industry. The nominations included leading players from the industry value chain. The awards unveiled industry champions to a global audience on the parameters of excellence and innovation in the renewable energy space. The recognition reflects the company’s consistent commitment towards delivering innovative and industry-leading energy solutions. “Being recognised by Renewable Energy India Awards 2018 is a validation of our expertise in designing and executing rooftop solar solutions. Our solar and energy efficiency solutions have helped us in delivering substantial savings for our customers and actively contributing to their sustainability goals,” said Mohandas Mekanapurath – Business Head, Bosch Energy and Building Solutions India. Since 2011, Bosch Energy and Building Solutions has enabled more than 180 distinct customers from the commercial and industrial segment in offsetting an equivalent of around 280,000 metric tons of CO2 emissions through customised energy solutions. Bosch Energy and Building Solutions is driving transformation for facilities across the country by designing innovative in-house solutions to make these facilities energy-efficient.